Just arriving back in St John’s to hear the sad news that Mary Pratt has died. Such a great loss to the Canadian and Newfoundland art communities. 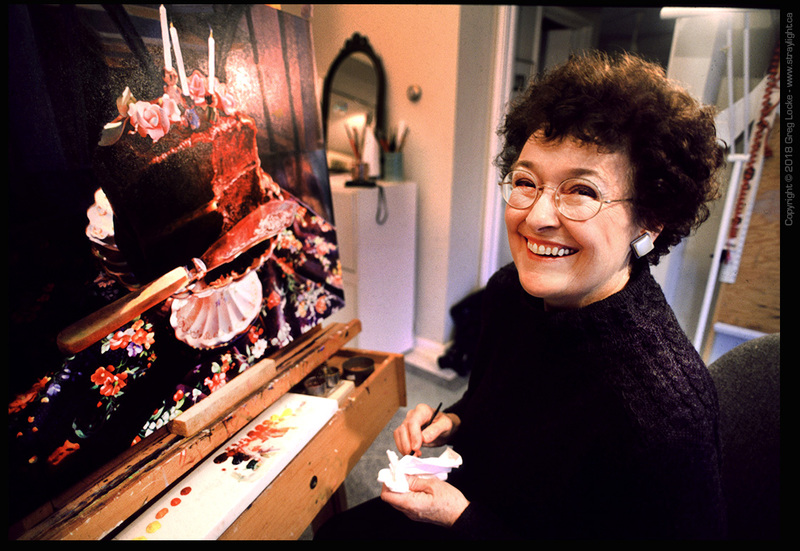 She, along with a small group of painters were some of the founders of the Newfoundland cultural renaissance in the 1970’s and brought professional visual art into reality in Newfoundland. Not only did she leave an incredible body of work but her influence on the generation of artists who came after her can’t be denied. Her brilliant and luminous painting of everyday life and object was unique and bold as she carved her own path in the painting world showing the way for so many young artists seeking their own vision and careers. Mary was also the driving force behind the building of The Rooms, art gallery, museum and provincial archives in St John’s. Those times we got to talk, like this portrait session for a magazine story, we always talked about light and colour and realism. She was generous and open and more than happy to talk about art. If you listened you could learn a lot.